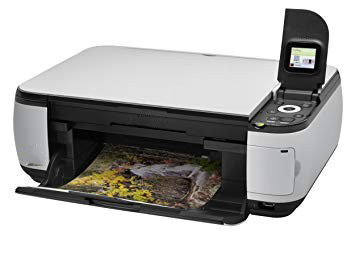 Hi, I bought a canon pixma mx490 printer, But now i am trying to setup this printer but they are not connecting, so please give any suggestion to setup pixma mx490. 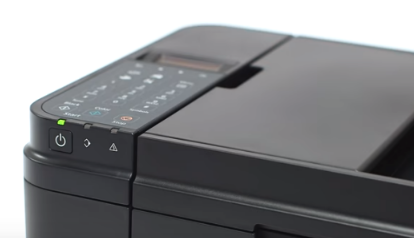 Canon Pixma MX490 printer is one of the trendy printer and has got multipurpose usage. 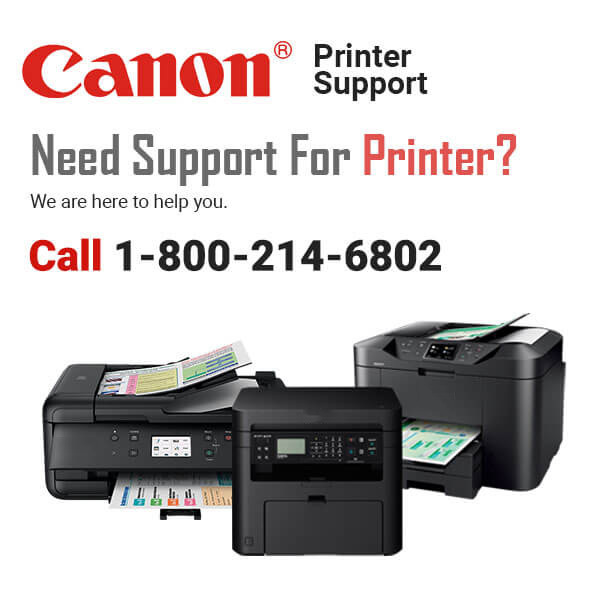 Canon, being one of the finest printer machine giant brand, gives you option to connect wireless and making a standard setup. 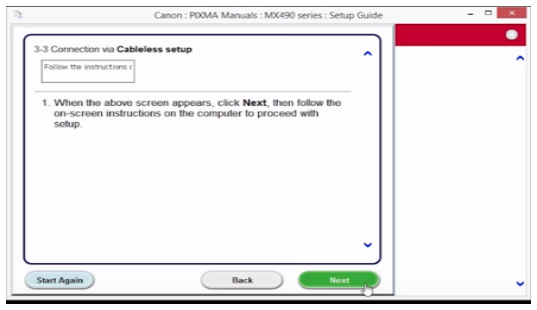 Here, we shall cover the basic steps to cover the wireless setup of Canon Pixma MX490 Printer to your system. Step 1 : Before connecting your printer, assure that your router is properly set up and no network issue prevails. Make sure system and network are connected smoothly for the further procedure. Step 2 : Make sure printer is plugged into socket and powered “ON”, green LED light indicates that printer is ON. 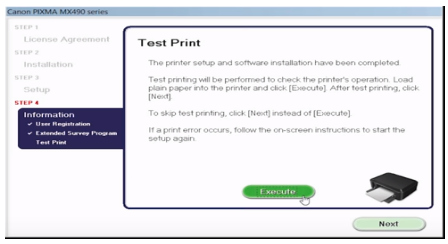 Step 3 : If the screen display is blank after printer is turned ON, press the copy button, followed by the Setup button after screen is ON at touch panel display. Setup button is at bottom right of the four button panel displayed below. Step 4 : The screen will display wireless LAN setup options on touch panel, press OK button and it will search for various modes. Press stop until below display (Wireless LAN setup>Standard setup) appears on the screen. 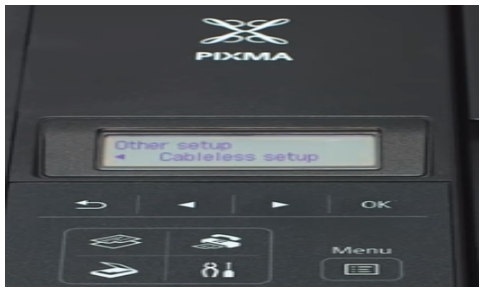 Step 5 : Scroll right for various options and press ok after selecting cable less setup on your Canon Pixma MX490 printer touch display panel. Step 6 : Now install the printer software either through the CD rom that come with your printer or you could also manually download through the canon web site. Step 7 : Start with your language, country and select the model of the printer i.e. 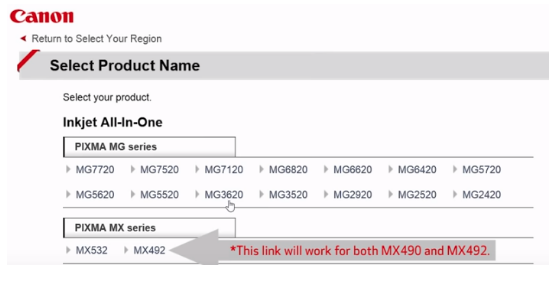 Canon Pixma MX490 or MX492 as shown below. Step 8 : Select the device, operating system (Windows) and select the folder to download the driver file. Run the downloaded file and run the set up by clicking next. 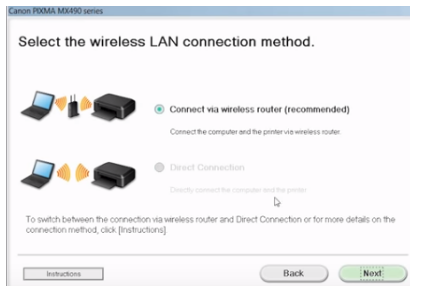 Step 9 : Select wireless LAN connection printer method as Canon Pixma MX490 printer connection method and select connect via wireless router method. 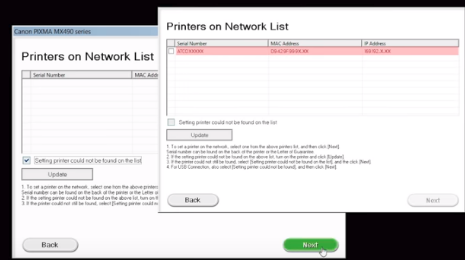 Step 10 : Make sure printer is ON, software will search for printers already connected to network, if it is first time list shall be blank and check in box setting printer could not be found on list, else click next. 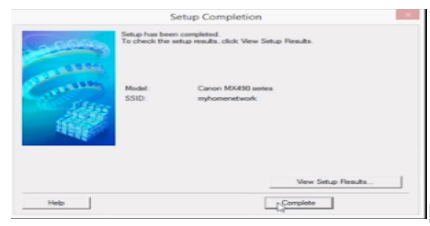 Step 11 : Setup guide shall be installed on your system and click next in cable less setup submenu. Network connection will disable for a short time and reconnect shortly. Step 12 : After network has been restored, installation shall start and click on license and agreement to start the process, click on complete tab after the option displayed after setup being installed. Step 13 : After installation, next step is Set up means page alignment and then last point having registration and surveys, if you want to skip survey and registration you can continue for test page print and click execute button. 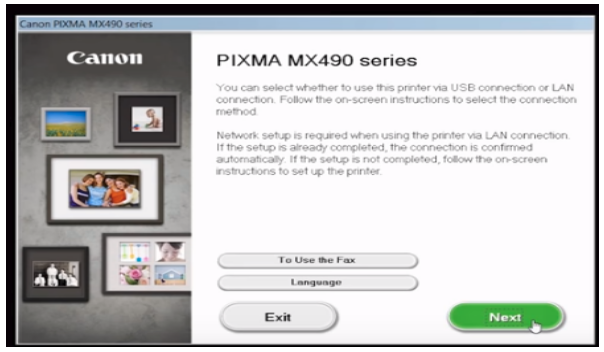 Step 14 : Now you could see installation completed successful display and now you are ready to print or scan using Canon Pixma MX490 printer. Hope above steps are helpful in connecting your Canon printer MX490 and carry on smooth operations.